THE FINAL PROJECT “CREATING MOLDOVAN E-NETWORK FOR PROMOTING E-TEACHING IN THE CONTINUING PROFESSIONAL EDUCATION TEACH ME” PARTNERS MEETING. 19TH-21ST OF SEPTEMBER, 2018, CHISINAU. This time we are saying goodbye to our partners from Moldova, however their journey and the development of e-network in the country only begins. First day (of three meeting days) was dedicated to the overview of outcomes reached, to the appreciation of lessons learned and also to the anticipation of how e-learning laboratories and teachers continuous education centers will be exploited and supported after the end of the project. Furthermore, in the frame of TEACH ME project was organized international conference “Changing roles and impact of teachers in the modern society” where president of NADE assoc. prof. Danguole Rutkauskiene presented innovative learning and teaching methods in higher education using MOOC’s. NADE member Gytis Cibulskis during the conference with participaded teachers shared the newest trends and implications of learning technology development. Finally, the participants of the conference joined the workshops, during which they had an opportunity to search the answers to the questions they have raised earlier: how to (re)design an attractive teaching scenario and how to support teaching staff to innovate. On the last day of the meeting, representatives of NADE had an important assignment – evaluate what impact TEACH ME project had on promoting e-learning in the continuing professional education in Moldova. 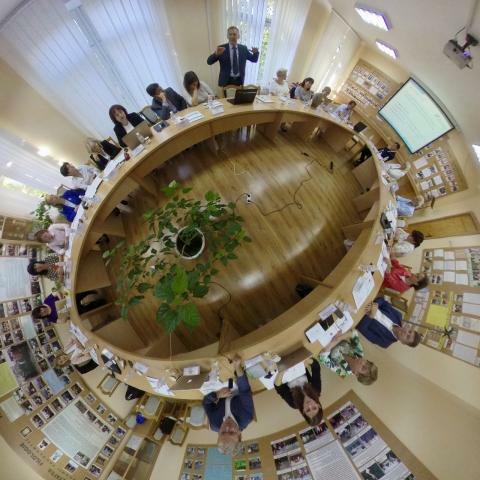 Evaluation interviews were carried out in two institutions, which managed to prove that distance learning in Moldova will find it’s niche and already is needed and have a possibility to be further developed. We are thankful for a warm welcoming and will be waiting for other opportunity to collaborate.